The Oxford Dictionary defines "Zionism" as "a movement for the development of a Jewish nation in Israel." Before coming into the knowledge of Zionism, I too adhered to the standard definition proposed by Oxford. However, after devoting study to it, "Zionism" is something deeper and more insidious than the Oxford proposition. 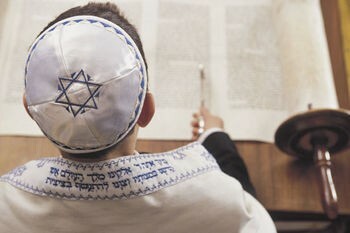 I would define Zionism as a subversive, socio-political, and spiritual ideology that seeks the advancement of the Jewish cause and consolidates Jewish supremacy over the nations ("rank-and-file" Jews included) through covert and overt occupation of so-called "Gentile" governments and populations. This is accomplished through the monopolization of media, education, religion, cultural arts, acts of terrorism and through other means by which psychological subjugation is accomplished. Zionism is truly a beast, an ideological movement that feeds upon the blood of the innocents and cannot be satiated or squashed by violent means. At its very core it is intensely spiritual, possessing a diabolical spirituality that masks itself as good. The hotbed of Zionism is the so-called "holy land" called "Israel." Israel is, what noted Jewish author Norman Finkelstein dubs, "a satanic state" that was established in 1948 through a manipulative document called the Balfour Declaration, which "guaranteed" the Zionists Palestine, if they were able to railroad the United States into World War I, in which they, as history records, were successful.